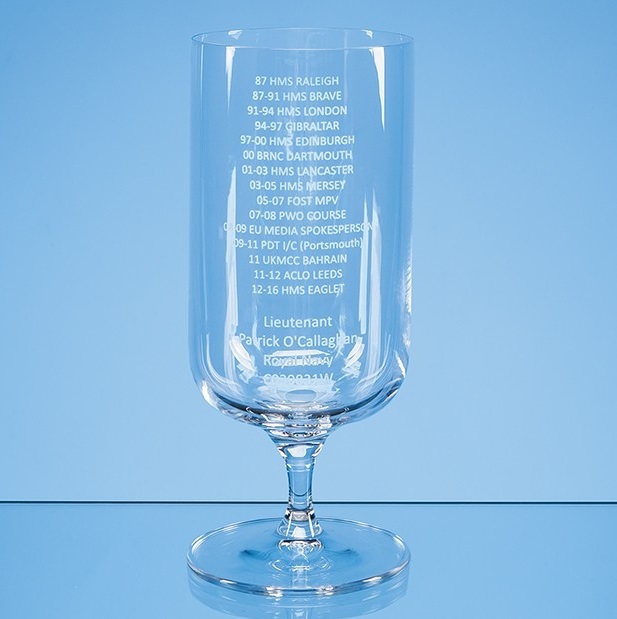 An elegant beer glass that adds a touch of class to your drink. The shape of the glass is designed to create a stream of bubbles that help maintain a nice head. It measures 175mm x 74mm and weighs 195g unboxed. There is a large engraving area that can be personalised with any crest, logo or wording to create a gift that is sure to be treasured by the recipient.